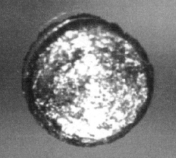 Californium is a radioactive metallic chemical element wi seembol Cf an atomic nummer 98. ↑ 2.0 2.1 2.2 2.3 CRC 2006, p. 4.56. ↑ Joseph Jacob Katz; Glenn Theodore Seaborg; Lester R. Morss (1986). The Chemistry of the actinide elements. Chapman and Hall. p. 1038. ISBN 9780412273704. Retrieved 11 July 2011. ↑ Greenwood 1997, p. 1265. ↑ NNDC contributors (2008). Sonzogni, Alejandro A. (Database Manager), ed. "Chart of Nuclides". National Nuclear Data Center, Brookhaven National Laboratory. Retrieved 2010-03-01. This page wis last eeditit on 13 Dizember 2015, at 00:50.